Seed Potatoes are in at Forrest Farm Supply. 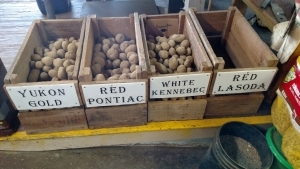 White Kennebec Pontiac Lasoda and Yukon Gold. Dogfood Sale Chicks are HERE!